Evidence is considered as to whether behavioral criteria for diagnosis of post-traumatic stress disorder (PTSD) are applicable to that of traumatized animals and whether the phenomena of acquisition, extinction and reactivation of fear behavior in animals are also successfully applicable to humans. This evidence suggests an affirmative answer in both cases. Furthermore, the deficits in gray matter found in PTSD, determined with magnetic resonance imaging, are also observed in traumatized animals, lending neuropsychological support to the use of animals to probe what has gone awry in PTSD. Such animal experiments indicate that the core synaptic circuitry mediating behavior following trauma consists of the amygdala, ventral-medial prefrontal cortex and hippocampus, all of which are modulated by the basal ganglia. It is not clear if this is the case in PTSD as the observations using fMRI are equivocal and open to technical objections. Nevertheless, the effects of the basal ganglia in controlling glutamatergic synaptic transmission through dopaminergic and serotonergic synaptic mechanisms in the core synaptic circuitry provides a ready explanation for why modifying these mechanisms delays extinction in animal models and predisposes towards PTSD. 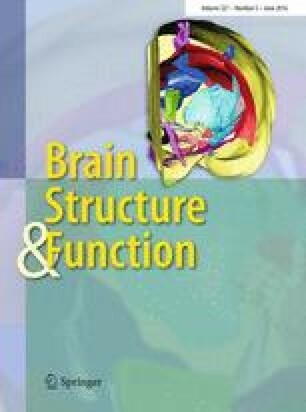 In addition, changes of brain-derived neurotrophic factor (BDNF) in the core synaptic circuitry have significant effects on acquisition and extinction in animal experiments with single nucleotide polymorphisms in the BDNF gene predisposing to PTSD.